Canada is a land of opportunity. Also, quite frequently, there are shortages for skilled workers in one category or the other. This is so even as some Canadians themselves are unemployed or underemployed. All of this is because Canada’s economy is both dynamic and advanced and there are changes in its demand and supply situation. When this is the case, Canada welcomes alien workers to its shores to fulfill its skills requirements, by issuing them temporary Canada work permit visa. But, the alien applicant has to meet all of the rules, regulations, etc. set up by the Canadian authorities, before he/she can be granted one. And also, at any one time, Canada opens some categories to alien workers while closing the others, depending upon the country’s work/worker (work permit visa) needs. At the outset, it is to be clarified that certain categories of workers do not need a work permit to enter and work in Canada. These categories are, for example, ‘foreign athletes and coaches’, ‘business visitors’, ‘clergy‘, ‘crew members’, foreign representatives, etc. 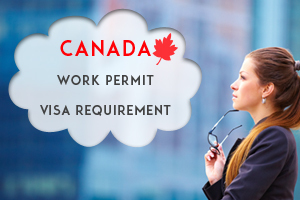 Typically, applicants for work permit have been categorized into three types: those who are ‘applying from outside the country’, those ‘who are applying from within’ and applicants who are ‘applying as they enter Canada’ and this has been done based upon their Canada work permit visa requirement conditions or situation, etc. That is, there are different criteria which decide whether or not an applicant needs to apply for a visa or not and how he/she needs to do so. And, these depend upon, for example, conditions such as whether the applicant has graduated as a student from a Canadian university or not, etc. For each of these three categories indicated above, eligibility criteria are specifically laid down and these ought to be satisfied before the application is accepted by the authorities for Canada work permit visa. 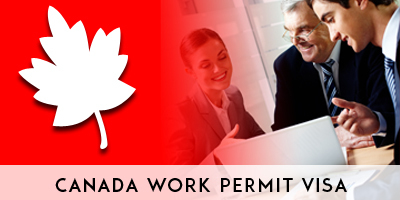 The Canada work permit visa application for a work permit can be done by a paper-based application or it can be done on-line. If it is an online application, the documents need to be scanned and sent across. Payment of the fees can be done by using a credit card. If offline, one can fill up the application form and pay the requisite amount in the local currency of Canadian work permit. 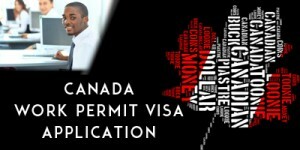 The Canada work permit visa processing time for each application depends upon conditions such as whether it was a paper application or an online one. So also, the processing time varies based on applicant’s country (differs from country to country) and on the type of visa sought.